When I think of a talent I have the first thing that comes to mind is the piano and being musically inclined. I also can play the flute and I have a guitar (that I need to practice on soon). I'd be the first to admit that I'm not a pro at the piano and I'm ok with that. I do know, for sure, God has given me a gift for music and I love it. I began taking piano lessons when I was a young kid in Brazil at a piano school ran by the descendants of Schubert, a famous Austrian composer. His family immigrated to the teeny tiny town of Umuarama, Brazil during WWII. In America I took piano lessons from a sweet lady my parents knew. She drilled into my head theory, which I still love to this day. I attended Bible school for 2 years and took piano classes where they had me focus on technique and hymns. For those who know music here is something weird: in Brazil they teach do, re, mi, fa, sol, la...etc. That's how I learned to read music and I still read it to this day. However, my teacher in America taught me theory the 'American style' using the key of C, key of D, etc. So, I when I read music I read 'do, re, mi' but if I tell you what key it is in I'll say 'key of C, key of D', etc. I honestly don't even know if this is normal because I've never really asked anyone else. If you read music how do you read it? Music to me is a way to reflect on my walk with God and it is also peaceful. 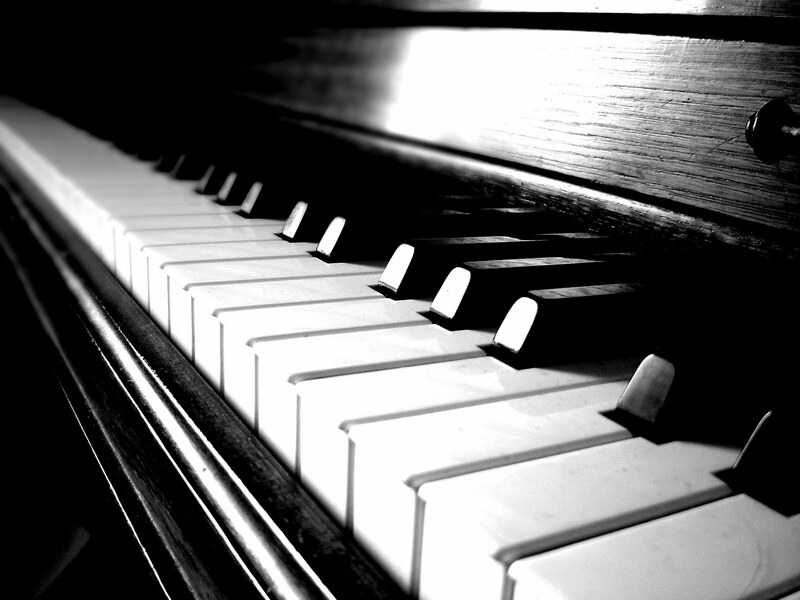 I absolutely love sitting down at the piano to play hymns, praise and worship songs. I've also noticed that whenever I go somewhere new God always provides a way for me to play piano. When I moved to Korea I played music for church. Now that I'm in Oklahoma I play music at the Senior Center and a nice old man from there gave me my own keyboard to play from home. What a beautiful gift! I've always wished I would have pursed music more! I just found your blog through the link up! Its lovely! I love to play the piano too! I am no pro but I do enjoy it! I have never heard of reading music with do re me! That is interesting. I read it as the key that the piece is written in. True American style I guess? Lovely post! I am not at all musically talented, so I am always impressed with those who are! It's my first time on your blog- found you through the thankful project, I am excited to read more from you! I have always wanted to play the piano! I am not musically inclined. I can play the violin and that is it! No theory. I don't even know key signatures! Ha!